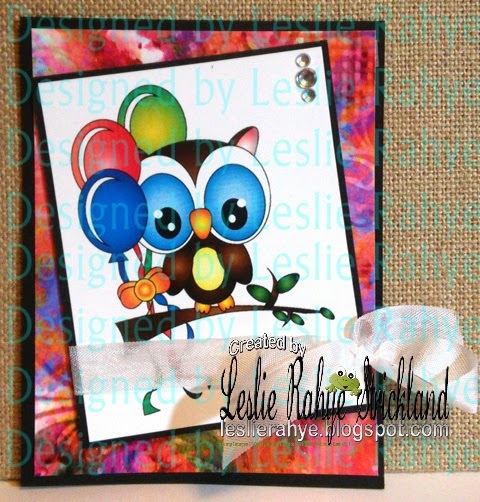 Today I'm sharing a quick birthday card using a pre-colored Celebration Owl! Precolored images are great for super quick cards to send to your friends. I paired it with some beautiful artsy paper from Rebecca Baer, bias tape and some bling. I hope you enjoy this quick and easy card today in celebration of my own birthday! Thank you for stopping by today! We share tips, techniques and creative inspiration on a regular basis. You can subscribe to receive. RB | Design Team Blog updates here.. Once you complete the form you will receive a confirmation email from feed burner. Be sure and check your spam folder. You must confirm your subscription to activate.